I have a slight touch of OCD. My family would definitely confirm this. This is sometimes helpful, and sometimes not. In consideration of that, every morning I plan out what I want to do for the day. I think about what I really need to do, and I start working towards doing those things. This usually lasts until I get to school. It seems like as soon as I get to school, things start happening and before I know it, school is over and I haven’t accomplished one thing I set out to do. Sometimes I feel like I get nothing done and sometimes I do other things I never planned. The bible talks about this in Proverbs 16:9- We can make our plans, but the LORD determines our steps. (NLT) Sometimes my plans are not really the best plans. Friday was a perfect example of this. Jeff and I planned on visiting with two families, Christnerlens and Florvius and Dervens Sera. Fridays are busy days for us because we also have a community fellowship and women’s bible study on Fridays. That means I am trying to get things done as quickly as possible in the afternoons. I planned on making our visits and getting back in time to do the other things. Jeff and I went to the first house and the parents were not home. We talked to the neighbors and the kids and decided to try again later that day if we had time. Then we went to Dervens house. 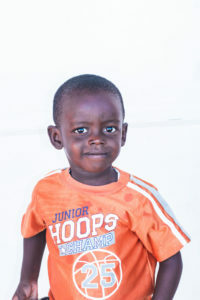 Dervens is six years old and lives with his mother and two teenage girl cousins. 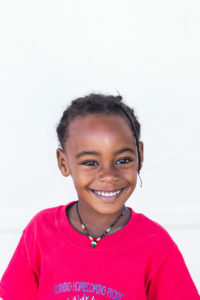 Dervens’ mother used to work for us, but she became ill this spring and has not been able to work since. 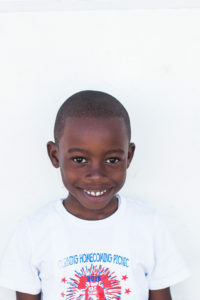 Dervens’ mom wants to feel better and be able to work again. We prayed with her and talked about possibilities for part time work at Hope Rising. Other things happened and before we knew it, it was after 4:00 and fellowship had already started. Jeff and I decided that even though it was getting late, we would try one more time to see the other family. We rushed to their house and the mother was home. The mother works for another organization and was not supposed to be home before 7, but she got off early and was there. where I needed to be. There was a reason we had to come back, and the other things I thought I needed to do were not really important. When we came on my time schedule, no one was home. Because we came back, we got to meet the mom, whom I had never met before. The mom asked us to pray that God would hold her children close and that He would be with her in all things. That was a prayer we were happy to pray. As we continue to do these visits, I am so thankful for the lessons God is teaching me. I pray this week I will be open to the unknown steps that are not part of my plans but His.